The two young men would have been alive today had Monash cared! 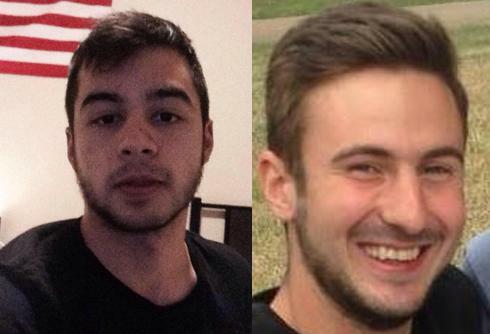 Police have named the two young victims who drowned in freezing waters while kayaking on Lake Tekapo in New Zealand as Daniel Thomas Hollnsteiner (aged 21) from New York, USA and James Robert Murphy (aged 20) from London, England. The two young victims were students attending Monash University in Melbourne, Australia and were visiting New Zealand during a semester break, police said. RIP. Daniel Hollnsteiner (left) and James Murphy. Source: Internet. They died because NOBODY cared! About 3,400 international students, overseas visitors, foreign workers and new immigrants have lost their lives and at least 18,000 others seriously injured in New Zealand since 2000. Our statistical model, using multiple samples, shows that about 3,400 international students, overseas visitors, foreign workers and new immigrants have lost their lives and at least 18,000 others seriously injured in New Zealand since January 2000. Based on extensive research, the blog moderators believe that more foreigners have died in this country than in the rest of the world (ROW) combined (non-military operations), making New Zealand the deadliest destination for foreign visitors. Some of the deaths have been listed on this blog. Many hundreds of foreigners who have gone missing without a trace in New Zealand, are not included in the above stats. A person was killed after being struck by a freight train at a railway crossing in the Tauranga suburb of Otumoetai earlier today (23 September). The person was reportedly on foot, not in a vehicle. On Monday, a man in a wheelchair was killed by a freight train at Paraparaumu train station, north of Wellington, said a report. At least one person was killed in a collision between a car and a truck in the Waimana Gorge in the Eastern Bay of Plenty of Deaths. Police have revealed the identity of a man who was killed (?) while in custody at the Rotorua Police station on Saturday (19 September) as 52-year-old William David Bircumshaw. A fatal crash in Piarere claimed the life of a 16-year-old Robert Mark Butland. Polkce say they are trying to identify one or more drivers who may have useful witness information. Ian Uttley, 73, and wife Christine, 74, were killed at the scene after their car collided with an unladen logging truck, at the bottom of the Titiokura Hill, north of Te Pohue on State Highway 5. Yun Kau Ng, 73, known as Louis, and his wife Chiu Ngor Ng, 74, known as Elaine, died while taking a bath at Napier’s Deco City Motor Lodge in October 2013. The death is second to occur in two days, and at least the third since August, and follows the murder(?) of a 52-year-old man in Rotorua Police station on Saturday (19 September). In August, another inmate was found dead (murdered?) in his prison cell at Auckland’s Mt Eden Prison, but Department of Corrections said the death wasn’t suspicious even before a semblance of an investigation had been launched. “We are committed to reducing the number of offenders who take their own lives in while in custody,” she Corrections’ northern regional commissioner Jeanette Burns. “UK firm Serco has the contract to run Mt Eden prison, but the facility is currently being managed by Corrections after a series of allegations of violence between inmates,” according to a report. A total of 16 workers at Serco-run Mt Eden prison have been sacked during the past year. Labour MP Kelvin Davis has claimed a Mt Eden prisoner Nick Evans died after being thrown from a balcony in an initiation ceremony known as “dropping”. Convicted murderer Nikki Roper has been hospitalised after “a severe beating.” The prisoner was attacked by two other inmates from the same gang in a yard inside the maximum security section of Auckland Prison at Paremoremo. A 52-year-old man, who was alive when taken to Rotorua Police station on Saturday (19 September), was pronounced dead several hours later and his body was removed unceremoniously. A post mortem will take place today following the death of a man in the police custody hub in Rotorua on Saturday (19 September). At approximately 3pm police were called to assist Ambulance with a man who was believed to be intoxicated in Rotorua CBD. The 52-year-old man was transported to Rotorua Police station where police custody staff became concerned for his welfare. A police doctor, who was on site at the time, assessed the man and an ambulance was called. His condition deteriorated and police staff commenced CPR. Resuscitation efforts continued until the ambulance arrived at approximately 4pm. A post mortem will be carried out to establish the cause of death and enquiries are ongoing to confirm the man’s last movements. The man’s name will not be released until Police are satisfied all next of kin have been informed. The names of the four young men killed in last night’s crash on Muriwai Beach have been released by NZ police. The four victims, aged between 27 and 32, were all killed when they were thrown from their car on Sunday night, police said. Two of the victims were Indians, one from Pakistan and the other from Lebanon. Mr Pulkit MALHOTRA, aged 27 years old, a recently arrived visitor to New Zealand from India. Mr Syed JAFRI, aged 29 years old, a New Zealand resident, born in Pakistan. 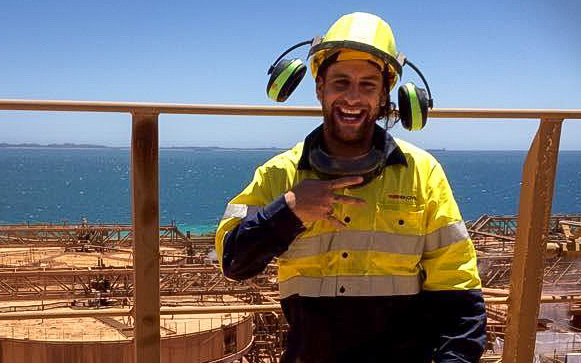 Mr Imad DIB, aged 31 years old, a Lebanese national holding a work visa. Mr Dilpreet SINGH, aged 32 years old, a New Zealand resident, born in India. Three of the victims, Jafri, Singh and Dib worked at Queens Academy Group, an educational institute in central Auckland, according to a report. Queens Academy Group CEO paid tribute to the dead men earlier today, said the report. “We are very saddened by the loss of our three staff members Dilpreet, Imad, Haris [Syed] and our friend Pulkit. Four young men were killed when the vehicle they were travelling in crashed and repeatedly rolled over on Muriwai Beach, west coast of Auckland region, police said. Police now say initial reports that a 12-year-old boy was critically injured was incorrect. A vehicle crash on State Highway 1 north of Tirau killed at least one person and left 6 others [seriously] injured On Friday 11th September 2015. An SUV travelling south rolled over near to the intersection with Horahora Road, police said. A serious crash on Huia Road Waitakere, which happened at about 8:15 pm, left the driver trapped with critical injuries. The victim’s fate is currently unknown. A fatal crash on State Highway 1 at Piarere in the South Waikato District killed at least one person, possibly a foreign visitor. A motorcycle rider who was killed after colliding with a car on Kereru Street at the intersection with Pateke Place, Tokoroa, has been named as Casey Ruua, aged 25. Police say a Far North man whose body was found in a car on Tokerau Beach died of natural causes. He was Kevin George Harding of Karikari Peninsula. A serious crash that occurred on Ryans Road Yaldhurst near Pound Rd has left the driver with serious injuries. 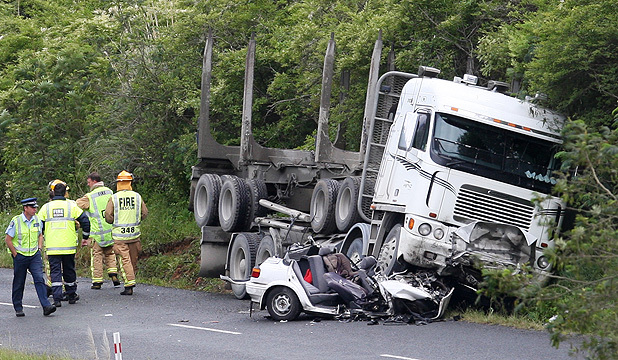 A Serious Motor Crash occurred on State Highway One near Te Horo, south of Otaki, Wednesday 9th September 2015 . A fully loaded logging truck and car collided and the logging truck lost logs onto the roads and surrounding kerbside, the car, truck and the logs blocked the entire Highway. This female driver of the car is in a serious condition. The driver of the truck has been treated at the scene by the Ambulance Service. The victim of the fatal crash that occurred on Maronan Bridge (Canterbury) on 8 September 2015 has been named as David John Tayles from Tinwald. Another fatal collision on SH1, the Waikato Expressway, near Taupiri. 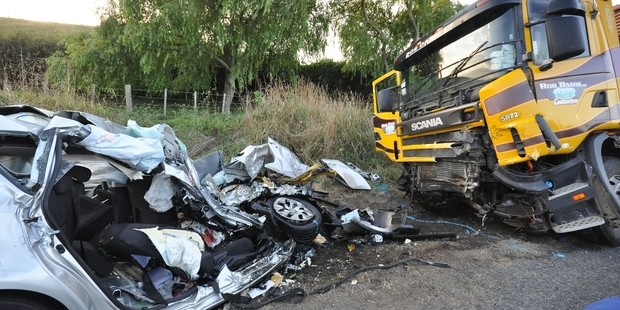 A fatal crash claimed the life of 36-year-old Gordon James THOMPSON, who was also known as Anaru Jordan TAMEHANA. The collision also left the driver of another car in a critically injured condition. “Last year, of the 35 fatal crashes in the Waikato, 15 occurred where excessive speed was a contributing factor in terms of speed limits or climatic conditions,” said Inspector Grace, District Road Policing Manager. A woman was critically injured in a fatal Waikato collision that claimed the life of another person. “However initial indications are that a northbound Nissan Bluebird car has crossed the centreline into the path of a southbound Mazda Tribute stationwagon,” police said . Police were awaiting the results of forensic examinations to complete the formal identification of the male driver of the Nissan who was killed in the crash, said the District Road Policing Manager. NZ police, judiciary, government… have NO moral compass! Pera Ariki Smiler, 25, was fatally shot by the police assassins in Upper Hutt Tuesday afternoon. Smiler was murdered by the police shooters after allegedly firing his rifle inside the McDonald’s restaurant in Upper Hutt on Main St. and then brandishing the rifle outside in the street. FACT: He had neither shot anyone, nor holding a gun to a anyone’s head and threatening to shoot. FACT: He could have easily been immobilized temporarily by police using rubber bullets or beanbags. FACT: The NZ police are out of control. They use unwarranted deadly force inordinately. He has been described as a “good kid” by those who knew him. “Basically, he was a good kid and I loved him. I loved him like a son and I always will regardless of what he’s done. I can’t really say much more,” said Sharon Leaf who knew Smiler when he was a friend of her son at school. “As far as I was concerned he was a good soul,” she told NZME. “All I know is that he was an amazing guy and it’s so sad how things have turned out.” said a relative of the victim who didn’t wish to be named. Pera Ariki Smiler, 25, was murdered by NZ police. Photo Supplied by a friend of the victim/ via media. Dylan Smiler, the victim’s cousin, told Morning Report that he believed Mr Smiler had no intention of hurting anyone, and must have wanted to die. “There was one incident where one of the witnesses said he looked at him, and Pera goes, you know, ‘you’re all right, carry on’. And that kinda made me think he had no intention to kinda hurt anyone, he was just in a bad place,” he said. “For him to not shoot anyone when he had the chance to, is quite a big sign that, you know, it wasn’t his intention,” according to a report. Police have now charged the driver of a vehicle in which a female Taiwanese tourist was killed in a crash on Monday morning. Yi-Chieh Feng, 30, was a passenger in [an almost certainly defective and unroadworthy] rental car that crashed on State Highway 6 in Westland. The 31-year-old man driving the car, also a Taiwanese national, who was not injured in the crash, has been charged with careless driving causing death, police said. Ms. Feng was probably the 3,402nd foreigner killed in New Zealand since January 2000. Police have difficulty explaining why so many “careless drivers” come to New Zealand only to be killed here or lose their loved ones to our death roads. Aryan Banerjee, a 9-year-old Indian schoolboy who was critically injured after he was “left hanging by his shirt from a school toilet window” in May, has died. His father said his son passed away peacefully in his parents’ arms at Hawke’s Bay Hospital earlier today. 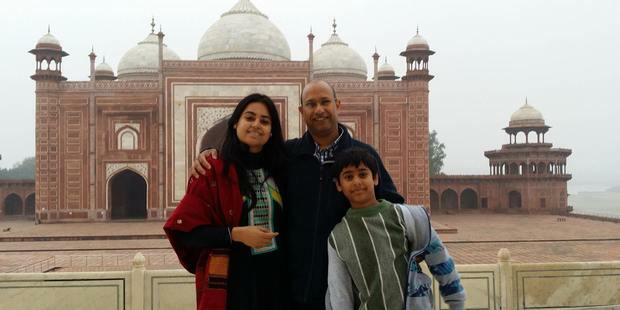 “The parents of nine-year-old Aryan Banerjee, who was critically injured following a fall from a Taradale School window in May, wish to advise that tragically Aryan passed away earlier today”, the Hospital said in a statement. Aryan was found unconscious after he had ALLEGEDLY jumped out a window because the door wouldn’t open (!) and his shirt got caught, leaving him hanging. Aryan had been in an induced coma after he was nearly strangled on May 25 and had suffered significant brain damage since. The police have not revealed any details about the tragic incident, but said they were treating it as an accident. The poor boy’s only “fault”, as cruel as it might sound, probably was he couldn’t choose “white” parents! Based on their experience, the moderators believe Aryan was victim of foul play like dozens of other Indians who have been killed in New Zealand, just because their “wrong” skin colour. We do NOT for a moment believe he died accidentally, regardless of what the police might say. We hope his family has the fortitude to hire reputable private detectives to investigate the circumstances that led to their son’s tragic death!